Use our cost-saving leak measurement methodology for the precise documentation of all weak points on your flat roof. SLD – innovative roof maintenance concepts, tailored to your needs. Reasonably priced and implemented throughout Europe. 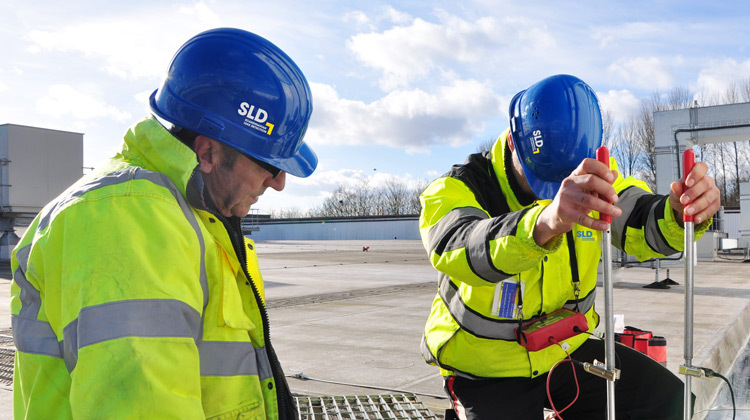 The SLD Group specialises in the sustainable integrity and safety of industrial flat roofs throughout Europe. Our position as a recognised expert for flat roof concepts is neutral and shaped by a high quality standard. Due to the intensive examination of the special requirements for the safety and the industrial quality of certified flat roof constructions, we soon realised that the area of Roof Management (RM) had to be better adjusted to the specific needs of the industry. In doing so, RM is removed from the previous and outdated structures of a conventional FM concept and obtains its own, professional structure. 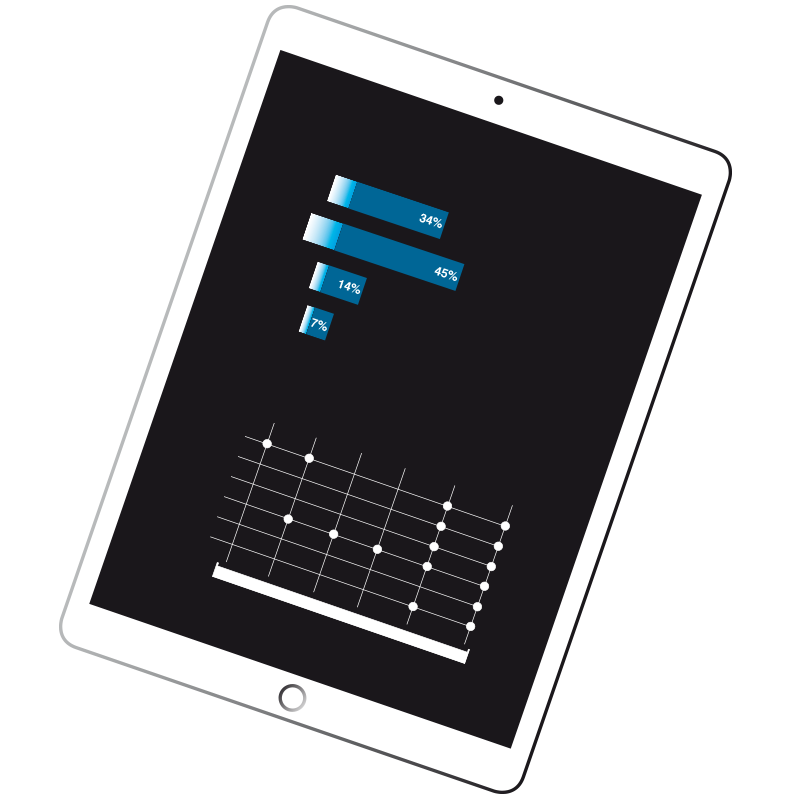 The high-quality and technically demanding structures and productions of our customers are too sensitive and valuable for them not to be prioritised in a standard FM concept. Practical and inexpensive roof maintenance concepts with the highest assurance of leak-proof integrity play a decisive role in the process. We manage the technical roof systems area, including the latest monitoring hardware and the combination of integrity testing (leak detection) and quality roof maintenance with qualified partners from the industry throughout Europe. Roof maintenance according to the RPP standard with RAL testing safety. Localisation of leaks and potential damaged areas with pinpoint accuracy. RPP – a certified quality mark for greater flat roof safety. SLD systems monitor industrial roof surfaces all over Europe and report faults long before the first raindrop can trickle through into the interior! The RPP – Roof Protection Plan – came into being on our way to achieving a safe flat roof. It’s a modular, certified concept and an efficient maintenance catalogue, consisting of surveying with state-of-the-art measurement technology (photogrammetry), versatile service components, technical methods, cataloguing and intensive testing programmes. Owing to the unique network and the high quality standards of all SLD methods and systems, the industrial customer can achieve sustainable roof management with a strong partner. Integrated high-tech solutions for complete roof inspection keep with the trend of sustainability! The correct analysis of the roof condition requires specialists. A lot of experience and neutral expertise is in demand. Here, of course, roof construction, technical regulations and standards must be considered as well as the requirements resulting from the further use of buildings and roof surfaces. Real estate owners have an obligation to exercise due care at regular intervals and to have a professional roof inspection performed. SLD supports you in all phases of Roof Management (RM). From quality roof maintenance, permanent integrity testing, real-time monitoring, to the completion of repair and restoration work with SLD-qualified roofers. 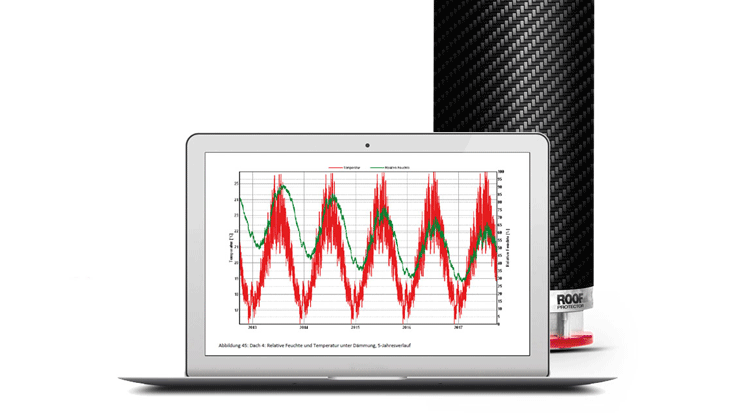 Convince yourself of our RM concept and use our free roof check, the RTRS® (Roof Test Rating System). Independent quality checks mean a more reliable status quo! Rapid assistance and detection of all leaks! Status quo with planning security!